It really has been a long time since the last time I post something in this blog. Doctoral degree life, combined with many life twists and conflicts have made me really preoccupied in the past few months! But now, everything is pretty much okay. I am writing after a long day from Tsukuba attending a crystallographic refinement lecture with my collaborator. Honestly, I am a bit tired because I have just arrived from Hungary. So what’s actually happening in life recently? Most simple, age-wise… I have turned 26 several weeks ago 😀 meaning that probably i have passed my quarter-life crisis! LOL. With my new age, I must be more mature and be grateful in living my life! I think I am doing pretty much okay, i guess. Doctoral degree life is quite tough and I am taking my own pace to do my research. But, I have just passed through my Doctoral Progress Presentation. However, sad to say apart from my high frequency of attending conferences (the last one was Biotrans Budapest last week) I have not published any scientific journal, yet. But I guess it is okay. Although I cannot say that I know 100% of what I’m doing right now, but at least I am in the right direction. So actually I have a quite good skill-set from microbiology for bachelor (which makes me a little bit stronger in genetic and biology), organic chemistry (weak, though), biochemistry and enzymology (my love! ), and right now I am studying crystallography as well. So it’s a complete package from up-stream (enzyme engineering, enzyme production, and enzyme characterization) to down-stream of both application (organic chemistry for enzymatic reaction) and the process of enzyme structure elucidation. I know I have not published anything yet. But I genuinely think that I have learned so many things. Things considered unimportant include managing the lab condition (read it as cleaning up the mess), organizing things, making English manuals for many things in the lab (how to buy things, how to use Japanese system, etc. ), and making laboratory rules. 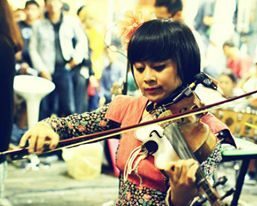 Of course, some people judge me as being not effective and I should have used my time for myself but I believe this kind of skill is important for me since I want to be an academician. Honestly I really love all my teaching assistant jobs and the time when new student get inside our laboratory. Because at that time I can teach them and I can prepare teaching material, which is something crucial if you want to pursue your career in academia. Of course my English is not good compared to my other international lab members. But I am grateful enough that it is decent enough for daily conversation, writing blog, writing assignment, and writing conference abstract, hopefully it will be enough for writing a paper. My Japanese? It is also not good but it is enough to live my daily life and even to discuss about research. With practice, I can even explain my research poster in Japanese and conduct an academic-related conversation. Of course the feeling of being the worst in this laboratory drives me crazy, and makes me to be so hard on myself. But I do love my experiment and my topic (I have been with my enzyme from 2012, I am already falling in love with her). Cmiiw, it is better than not having the passion to do the experiment, or doing the experiment only for the fame or money. I’ve been through quite a lot in the past year, yes, I have been bullied in many ways. From harsh type of bullying until the smooth gaslighting. From personal thing and decision that I made in life until the way I conduct my experiment (common type of work-place bullying). Although again I have been judged for being too weak, too nice, ineffective, unstable and so on, what I do is just keep moving forward. I will just keep doing experiment and keep learning everyday. Although sometimes I do it with tears literally falling. Do small positive things in my life. Cooking, writing in this blog, playing music, and I’ve even started editing my first vlog, lol. Be happy, love yourself, and remember to always be grateful. Always keep in mind that your family will always be there for you during difficult times (and in some special case a very few selected friends will be there as well). For me? I don’t mind having few friends since I know that I am very strange and not many people can accept me for who I am 🙂 Happy summer holiday everyone! Very long time no see! 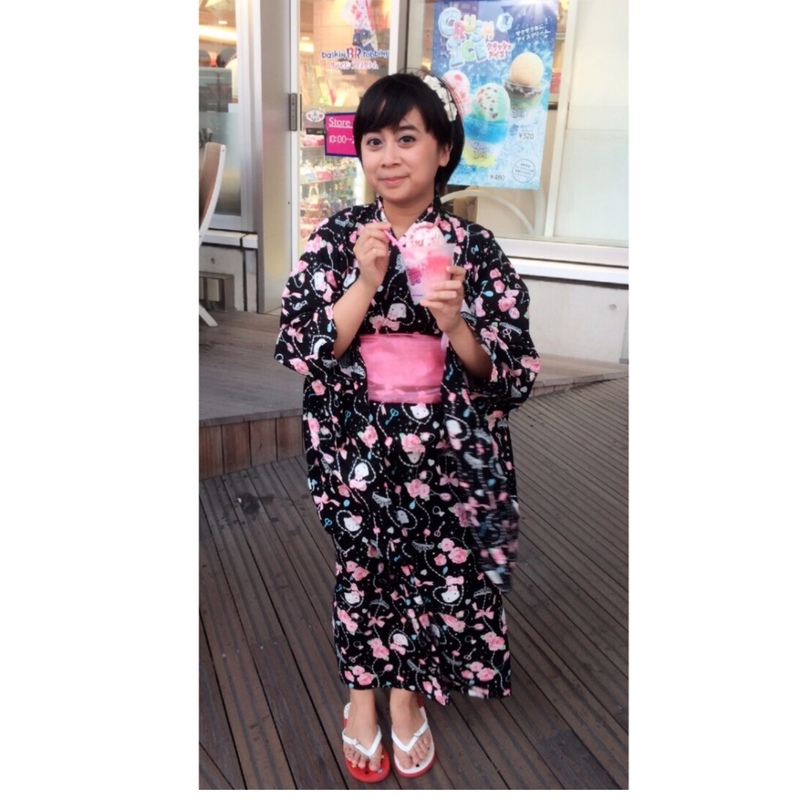 So, right now the summer is almost over here, it’s getting colder everyday so I will make a post about how my second Summer in Japan’s going! I experienced many things in this second summer, including the heat and heat exhaustion lol. Maybe the only thing that i did not do is going to the beach. It’s okay, still have 4 summers more. So here are some highlights of my summer! When? Late May to early June, so basically the weather is still pleasant! Where? There are a lot of choices but we decided to go to Hase Dera (Hase Temple) in Kamakura, Kanagawa Prefecture. 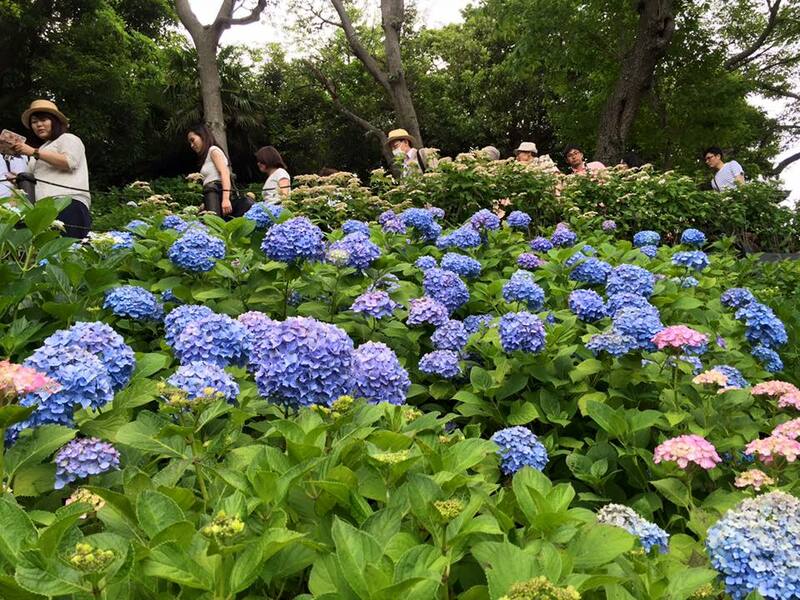 Hase Temple has a trail for hydrangea viewing. They will give you number tags to allow you get in to the trail in particular time, this is to avoid congestion inside the trail and be aware, the trail is a bit steep! But it has a good downhill view and in some other part of the temple you can have the mesmerizing view of the sea! How to get there? 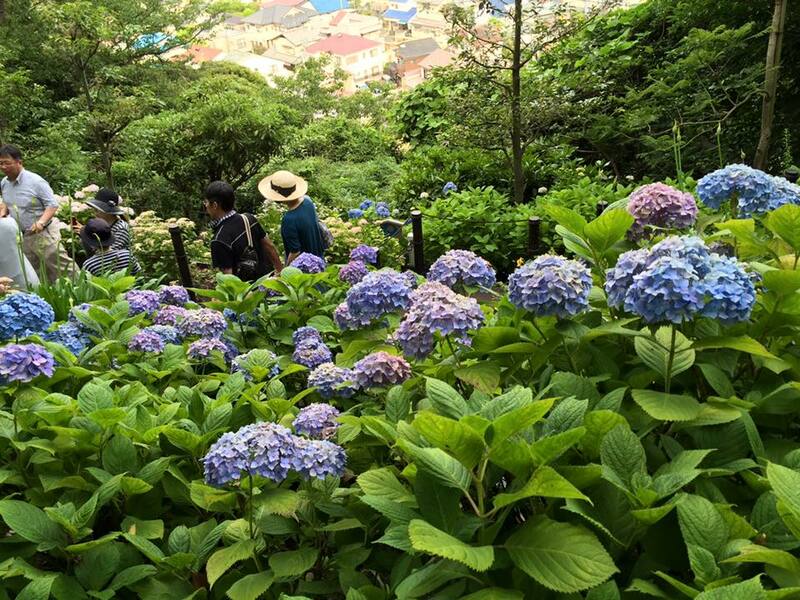 Take Enoshima Electric Railway (Enoden, for short) from JR Fujisawa Station (Tokaido Line) or JR Kamakura Station (Yokosuka Line), hop off at Hase Station and take a few minutes walk to the temple. 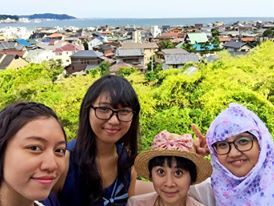 Although i could not go home this summer, my family visit me and we spent wonderful time in Kansai plus celebrating the Eid Al Fitr together! 🙂 We stayed in Kobe so that we can shuttle back and forth between Osaka and Kyoto! As an aquarium lover family, finally we went full team to the Osaka Aquarium, Kaiyukan (i have posted about Kaiyukan here before). 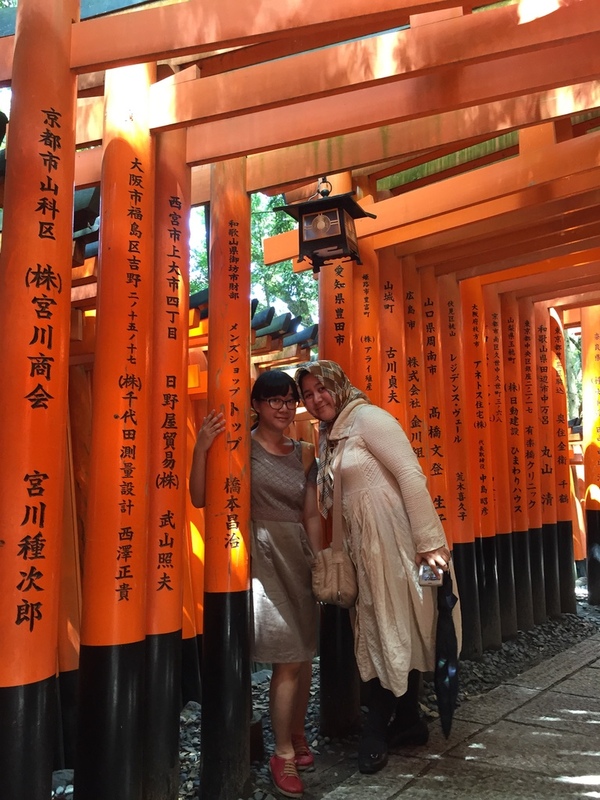 We explored a bit more in Kyoto by going to the Fushimi Inari temple and exploring Gion District. What? 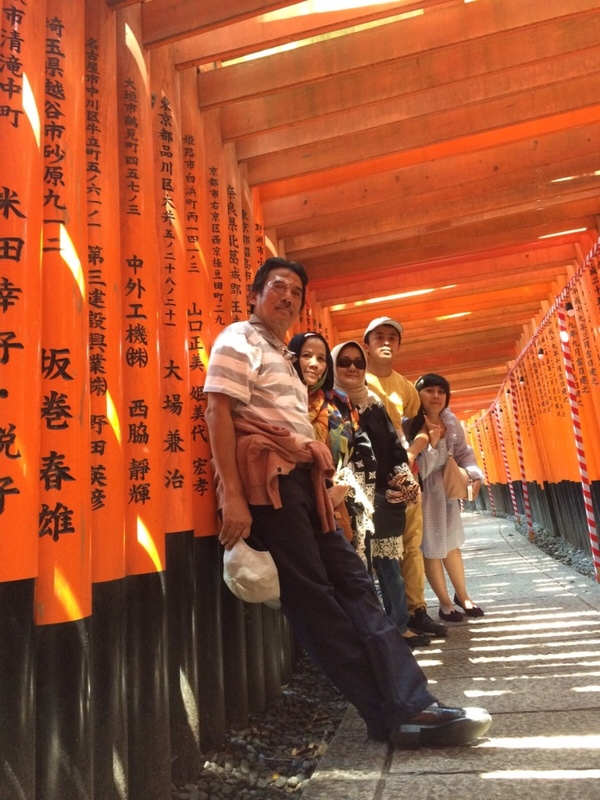 This is one of the most beautiful and famous temple with its gazillions of Red Gate in Kyoto. It is located on the hillside and the red gate will continue up to the top of the hill. There is no admission fee for this temple. How to get there? 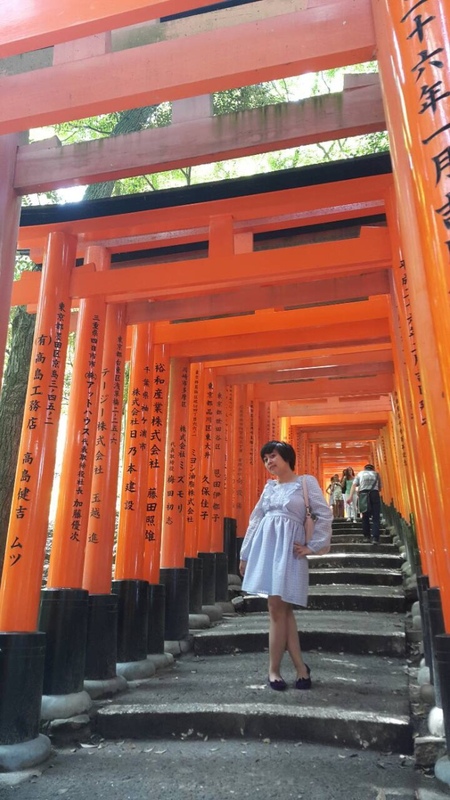 Take JR Nara Line from JR Kyoto Station and hop off at Inari Station, the temple is just outside the station. Using Kyoto city bus is a bit more complicated and crowded too. How to get there? There are variety of Kyoto city bus going to Gion (number 7, 205, or Kyoto Loop Bus) and stop at Shijokawaramachi stop. From Kyoto Station, train requires transfer. What? 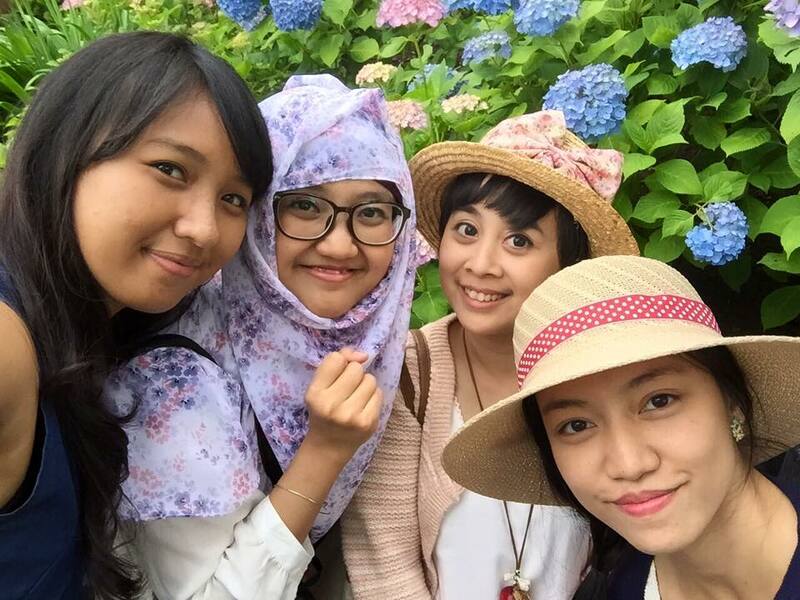 The true Japanese Summer experience will not be completed it you haven’t watched fireworks or hanabi yet! Hanabi (花火、literally means flower and fire) in Japan are held throughout summer’s weekend (July-August) in various places, usually along the river side or beach. It is really beautiful and special in my opinion. I think Japan really has the latest technology for the fireworks that make it really beautiful. 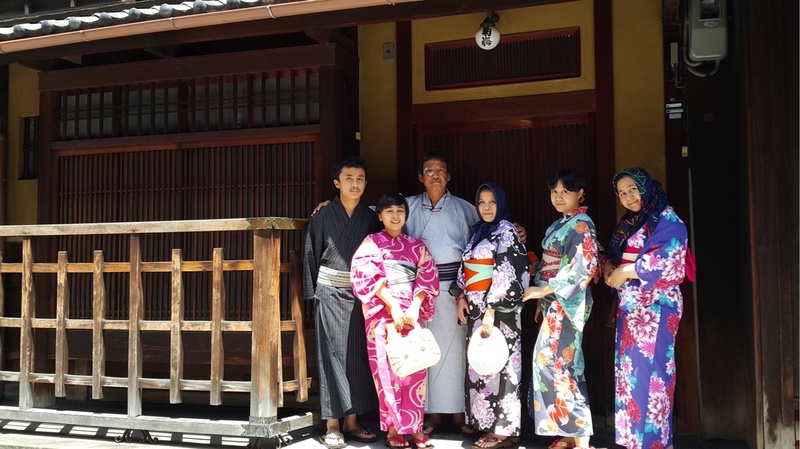 The experience is further fulfilled with attending it using yukata with your friends and chatting plus sort of doing picnic while waiting for the fireworks! Where? 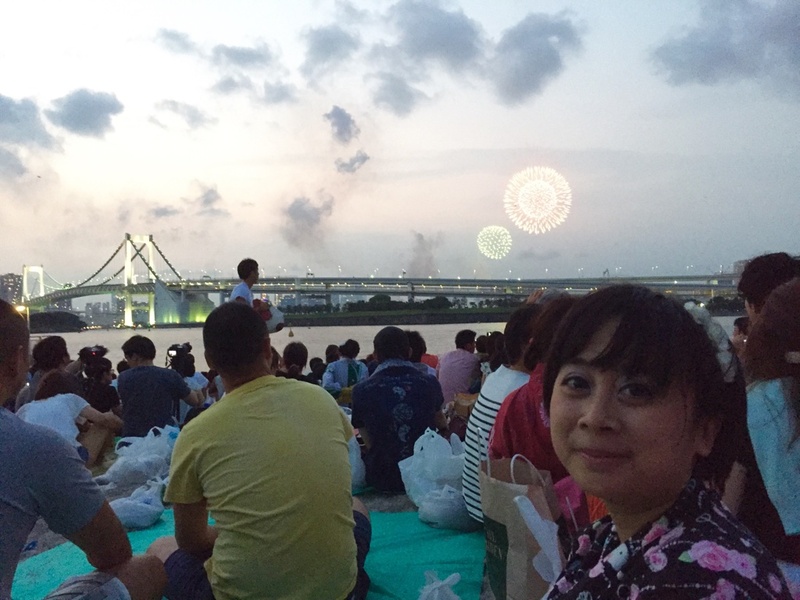 This year i visit Tokyo Bay Fireworks and watched it from Odaiba Beach. 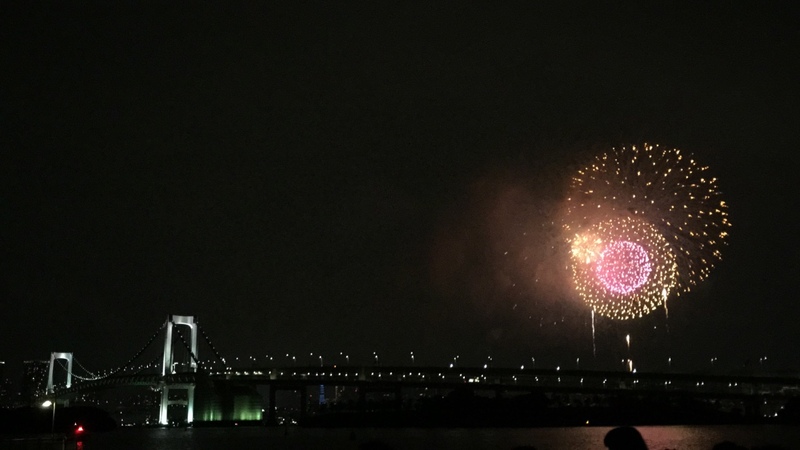 The magnificent view as you can see, is the graceful rainbow bridge with the beautiful fireworks! What to expect? CROWDS!! There will be people everywhere, loads of it. But as long as you stay alert, and follow instructions from the officer it will be okay I guess. If you want to get a good spot, you can come to the watching place the night before, put a tarpaulin cloth and stick your name on it. Since Japanese are polite, they will not disturb your place and you can just come around 2 hours before the fireworks start. N.B : But be careful if you use bus to the watching place, sometimes the road is closed if it’s already nearing the launch time! So I still advice you to come in advance. What? Last thing to make your summer complete? Sunflower viewing! 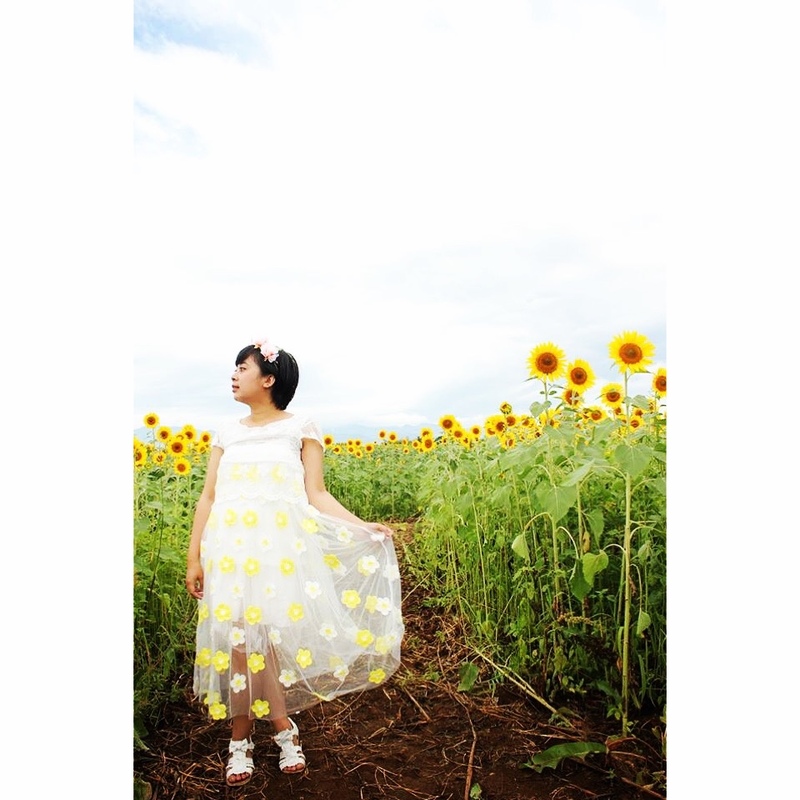 Japan has plentiful of vast sunflower garden and the sunflowers are really tall and beautiful! Where? This year, i pick a near viewing spot from my home, Zama Sunflower Matsuri (Matsuri means festival) in Zama, Kanagawa-ken. Along with the sunflower garden, they also have small festival containing food stalls. The festival was held only several days from late July to Early August. How to get there? 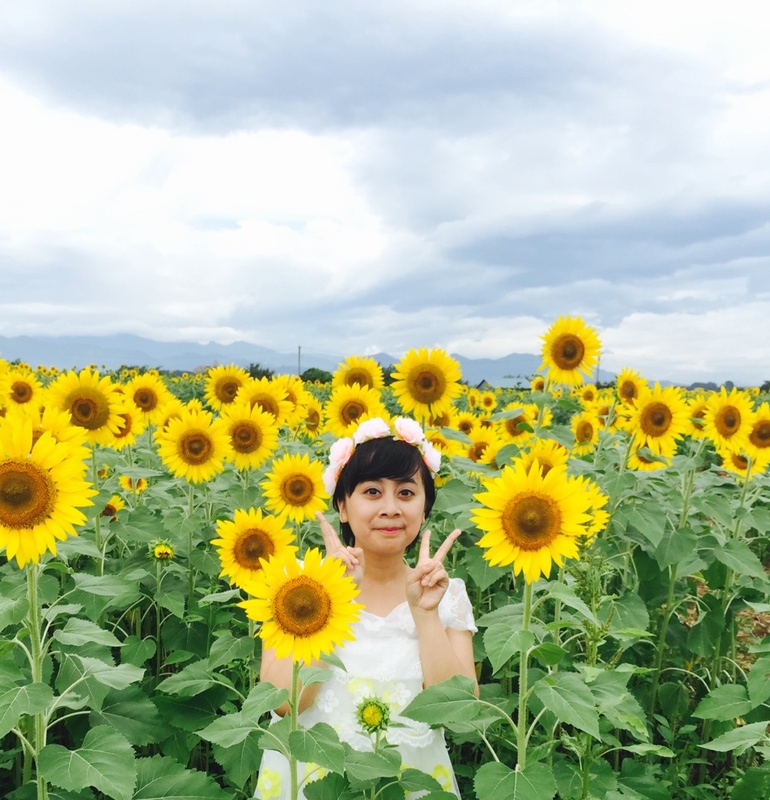 This sunflower festival provides free shuttle bus from Odakyu Soubudaimae Station. So, these are all my experience for this Summer! Let’s fight for the new semester!